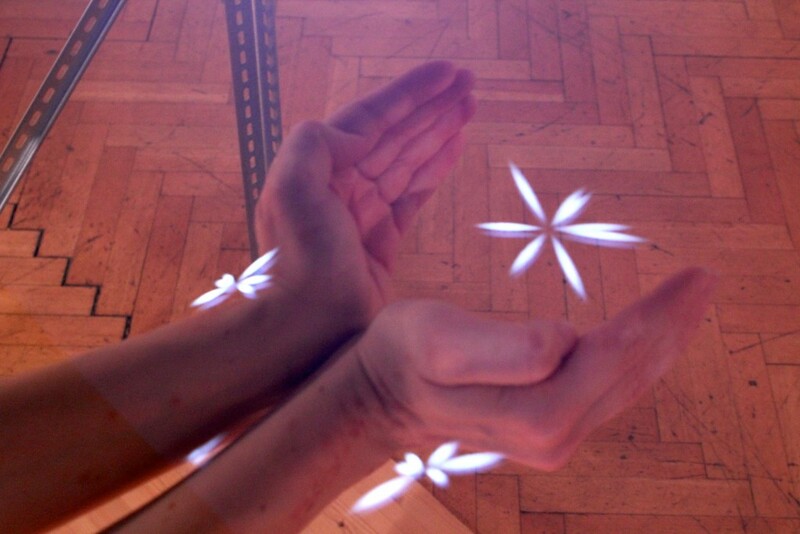 Base 8 explores the negative spaces and movements between fingers, hands and arms. A reflection through glass creates the illusion of a world floating in air. As visitors reach into the space, moving structures and abstract geometric forms begin to appear in between their fingers or grow out from their hands and arms. The title of the work was inspired by several rare languages that developed an octal counting base because their culture counted using the spaces in between fingers rather than the fingers themselves (as in the much more common decimal system). The work uses a 19th century theater trick (Pepper’s ghost) that was originally employed to create the illusion of phantoms or spirits on the stage with live actors. 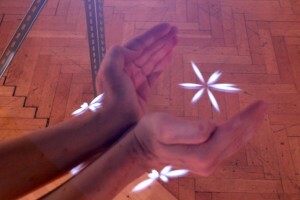 In this modern adaptation of the technique, the illusion is used to create the sensation of a reactive floating world coming to life directly around the visitors body. 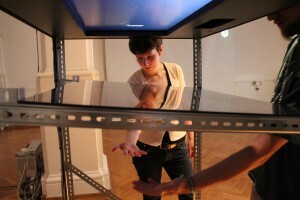 Developed at Ljudmila´s artist in residence program, Ljubljana, Slovenia. 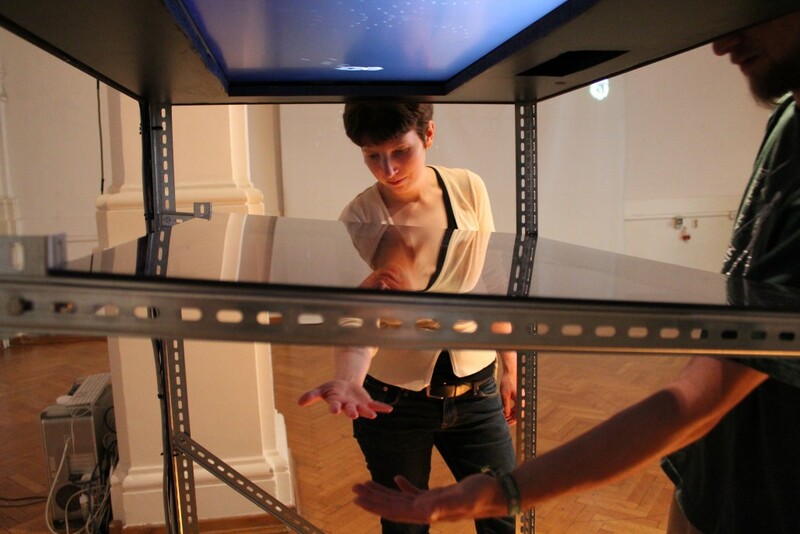 First exhibited 4th – 14th July 2011 at KiBela gallery, Kibla, Maribor, Slovenia.Production: Ljudmila, Ljubljana Digital Media Lab at KUD france prešeren trnovo. Co-production: KIBLA. 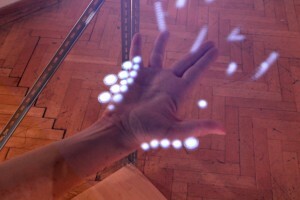 Created using openFrameworks.